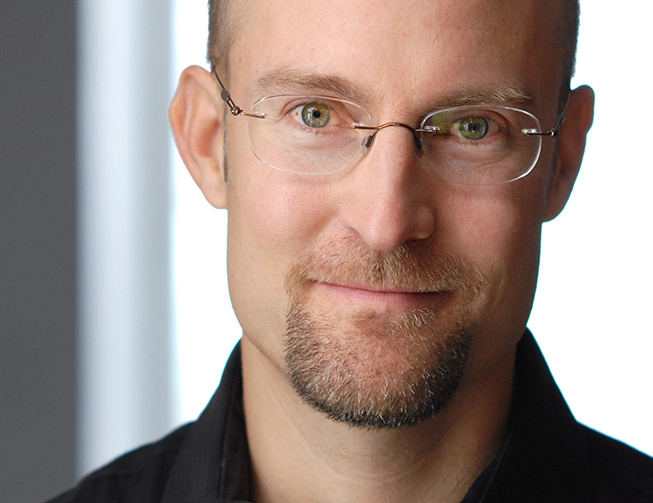 Shawn Kirchner (b.1970) is a composer and songwriter active in the musical circles of Los Angeles whose choral works are performed throughout the world. In 2012, he was appointed Swan Family Composer-in-Residence of the Los Angeles Master Chorale. His three-year term was marked by the premieres of Plath Songs (2013), Inscapes (2014), and Songs of Ascent (2015). The Los Angeles Master Chorale has often presented Kirchner's choral works in concerts at L.A.'s Walt Disney Concert Hall, and first commissioned him in 2007 to write Tu voz, a setting of a Pablo Neruda sonnet. Other Los Angeles Master Chorale commissions include Memorare (2009) and Behold New Joy: Ancient Carols of Christmas (2011). The Master Chorale's final concert of the 2009/2010 season featured the world premiere of his "bluegrass triptych," Heavenly Home: Three American Songs, which received praise in the LA Times as "effectively" written works of sophistication." He is best known world-wide for his setting of the Kenyan song Wana Baraka, which was featured in a performance by the Nairobi Chamber Choir in the Diamond Jubilee celebration for Her Majesty Elizabeth II at Windsor Castle in 2012. Kirchner's pieces are published by Boosey & Hawkes, Oxford University Press, Santa Barbara Music Publishing, and Shawn Kirchner Publishing. In addition to composing, songwriting has become a career focus for Kirchner in recent years. His songs combine emotional warmth with carefully crafted lyrics, and are written in a range of styles including bluegrass, folk, country, gospel, and jazz. Kirchner's bluegrass and country songs can be heard on the album Meet Me on the Mountain, and his original jazz tunes are featured in club and concert performances of the Shawn Kirchner Quartet. Kirchner also maintains an active performing career as a singer and pianist. A tenor with the Los Angeles Master Chorale, he sings regularly with the Chorale and the Los Angeles Philharmonic at Disney Hall and at the Hollywood Bowl in collaborations with the world's leading conductors and composers. In 2013, he was part of the LA Philharmonic's tour to London, Lucerne, Paris, and New York that presented John Adams' staged oratorio The Gospel According to the Other Mary, conducted by Gustavo Dudamel and directed by Peter Sellars. Under the Master Chorale’s music director Grant Gershon, he has sung in several Steve Reich projects, including two recordings for Nonesuch Records and a performance at Lincoln Center in honor of the composer’s 70th birthday. Kirchner's solo work with the Master Chorale includes singing in a small ensemble with Meredith Monk, as well as solo work in Ariel Ramirez’ Missa Criolla, Arvo Pärt's Miserere, and Perotin's Sederunt principes. Kirchner's work as a pianist includes many appearances with the Master Chorale at Disney Hall and on tour as well as freelance work in recitals, concerts, and studio sessions. Before moving to the Los Angeles area, he was a vocal coach/pianist in Chicago, and played for Neil Rosenshein’s studio at the Lyric Opera’s Center for American Artists. Initially trained in classical music, his improvisational skills now encompass many styles. Kirchner's growing list of TV/Film credits includes his work as music director/arranger for the 2004 CBS Christmas Eve special Enter the Light of Life, and his singing on more than two dozen recent feature film soundtracks, including Avatar, Frozen, The Lorax, Horton Hears a Who, X-Men Origins: Wolverine, X-Men: First Class, Lady in the Water, and License to Wed.
Long active as a church musician, Kirchner is pianist/organist/composer-in-residence at the La Verne Church of the Brethren in La Verne, CA where he shares music leadership of a thriving program with fellow Los Angeles Master Chorale singer, conductor, and music educator, Niké St. Clair. He has served as music coordinator for several National Youth Conferences as well as providing leadership for many other Church of the Brethren national and regional events.